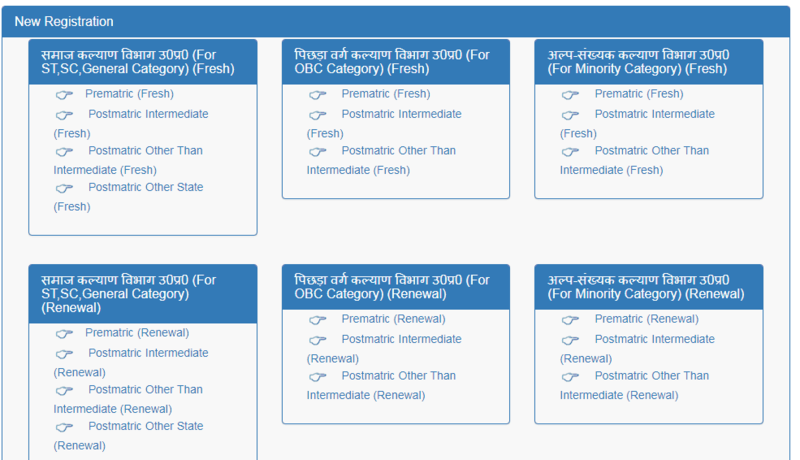 Latest Update 23/01/2019 : Recently, Uttar Pradesh Scholarship Department uploaded Correction Link for the Session 2018-19 Class 9, 10, 11, 12 and Dashmottar Scholarship for UG, PG, Diploma, Certificate Courses. Those Candidates Who have Applied can Edit Application Form. Stay Connected For Latest Updates. 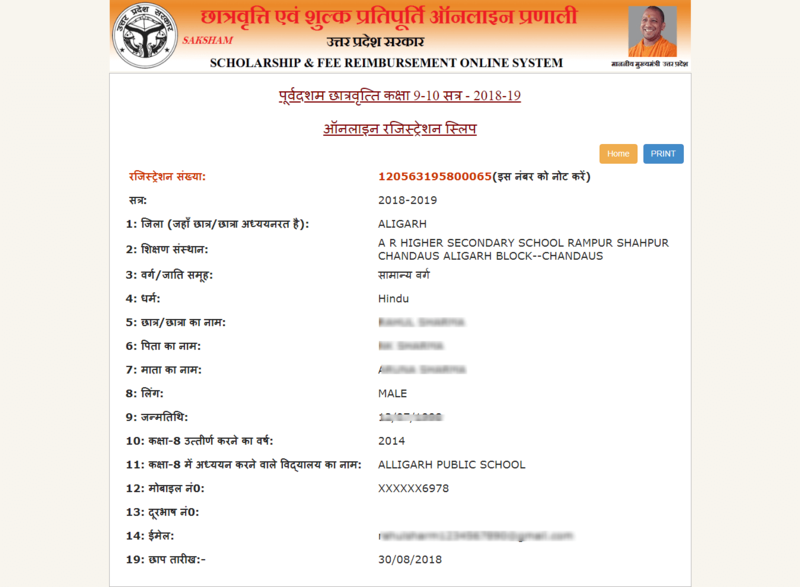 All Uttar Pradesh Domicile Candidates are Enrolled in Session 2018-2019 in any Courses of Class 9 to UG, PG, Diploma Courses, Certificate or any Exam are Filled the Scholarship Form. 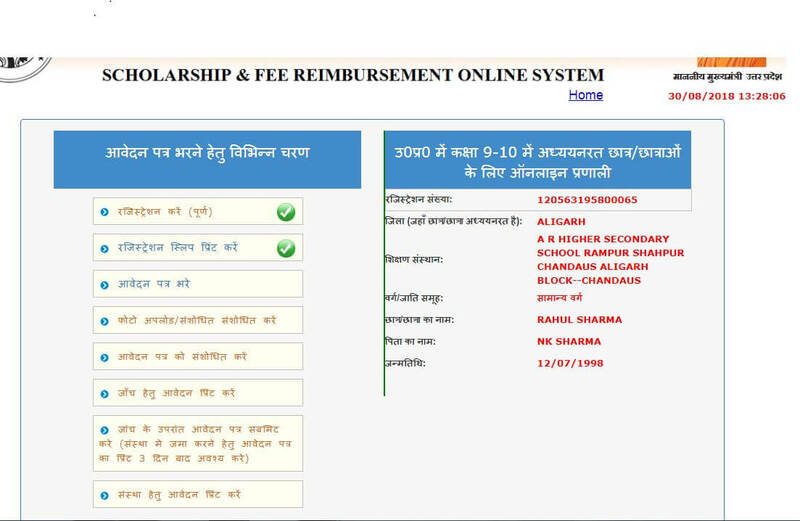 If you are applying for any of these mentioned above scholarship then first you should check your eligibility. General category students family income should not be more than 20,000 and 26,000. Pay Matrix Level 6 (₹35400-112400) Pre-revised ₹9300-34800+4000 GP. 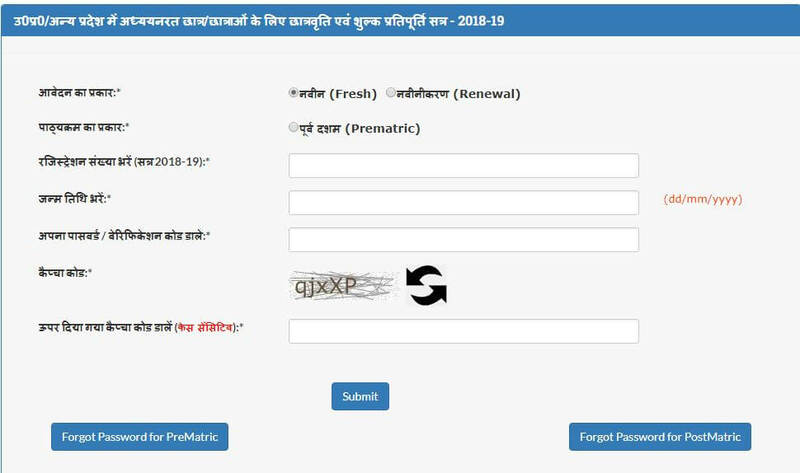 UP Scholarship Scheme 2019 Fresh Registration Click Here. 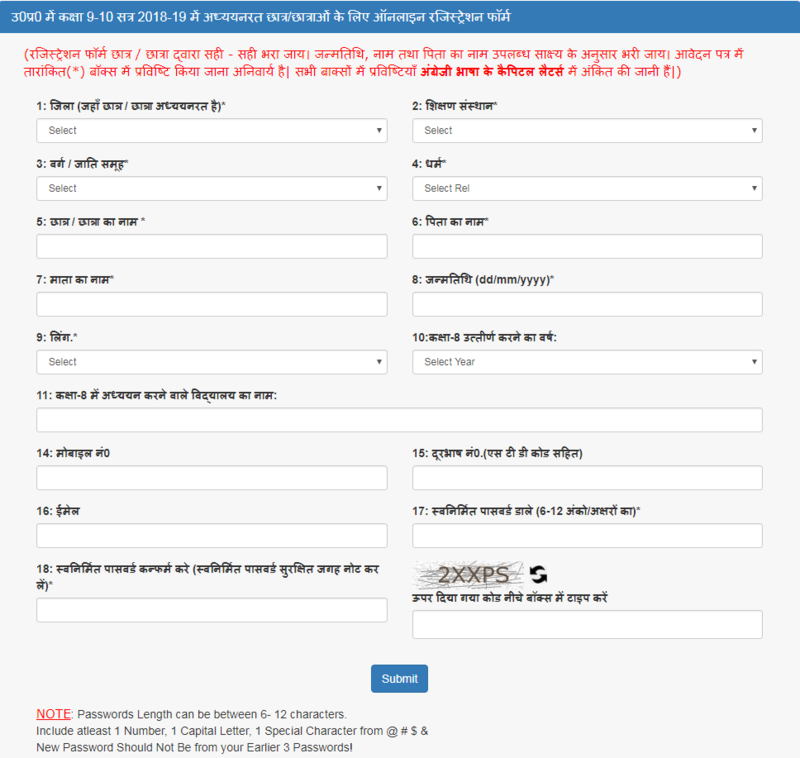 Fill the application form carefully and click on submit button.